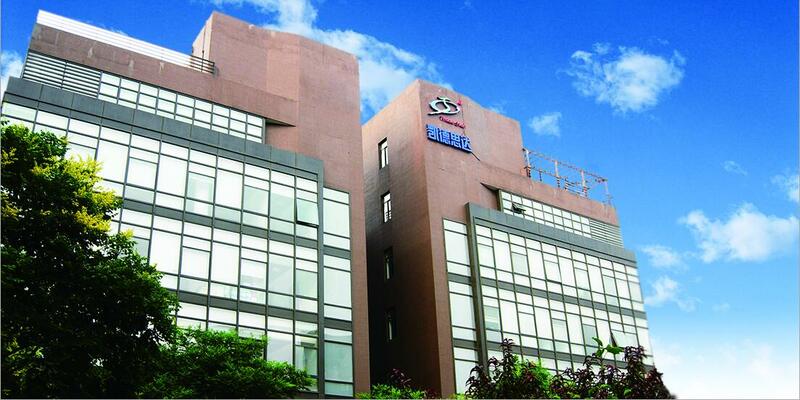 Trade Star Acquires Tibet Jianlian Medical Corporation Ltd.
Trade Star Pharmaceutical Holding Group Co., Ltd. was founded in 2000. With years of development, it has evolved into a conglomerate of drug research and development, pharmaceutical manufacturing, circulation and drug sales. Trade Star Group comprises Trade Star Investment Holding Group (S) Pte., Ltd., Trade Star (Hong Kong) International Medicine Co., Ltd., Beijing Jinyang Likang Medicine Co., Ltd., Tibet Jianlian Medicine Co., Ltd., TradeStar (Beijing) Medical Biotechnology Co., Ltd., Beijing Chengchuang Sida Medical Technology Co., Ltd., Yunnan Yong'an Pharmaceutical Co., Ltd., Nanjing Meirui Pharmaceutical Co., Ltd., Beijing Zhongzhi Biological Medicine Co., Ltd., Tibet Zhongzhi Investment Management Co., Ltd., Tibet Anda Medical Technology Co., Ltd., as well as other hi-tech industry groups. Since the establishment Trade Star has always adhered to the enterprise spirit of ‘Virtuous, Diligent, Thinking and Innovative’. In more than ten years’ development history Trade Star has taken the forefront position in the area of inland oral antibiotics, cardio-cerebrovascular preparations, immune and tumor marketing. It has also successively established a solid and stable strategic partnership with many domestic and international known pharmaceutical and medicine merchandising enterprises, such as the American Medicines Company, South Korea Xinfeng Pharmaceutical Co., Ltd., Mochida Pharmaceutical Co., Ltd., Zhejiang Hisun Pharmaceutical Company, Tianjin Pharmaceuticals, Tianjin Tasly Pharm., Livzon Pharmaceutical Group, NCPC, Furen Medicines Group Co., Ltd., Harbin Medical University Pharmaceutical Co., Ltd., China National Medicines Corporation Ltd., China Resources (Holdings) Co., Ltd. and so on. Innovation is not only one of the core competitivenesses for our company to take part in the future market competition, but also the lifeblood of development. The R&D department of the group now possess around 50 employees, among which master or above accounting for 70%. In the new drug R&D and preparation innovation aspect, with the successive cooperation with the nationally and internationally famous pharmaceutical R&D organization Trade Star has successfully launched “Thymopentin for Injection”, “Cefdinir”, “Monosialotetrahexosylganglioside Sodium”, and “Ademetionine for Injection”, etc. all of which have a good performance in the market. Depending on its competitive advantage on high-end products, TRADE STAR is committed to becoming the industry leader of new pharmacy and won the support of the government and industry. It was granted the titles of “Beijing High Tech Enterprise” by Beijing Municipal Science & Technology Commission in 2006 and “ZhongGuanCun High Tech Enterprise” by ZhongGuanCun Science Park Committee in 2009. Throughout the company’s history, it has always stressed the importance of quality. Therefore, TRADE STAR became a shareholder of several acquired medical companies with injection product line approved by FDA ,so that our product quality would come up with FDA-cGMP quality system requirements and lay the groundwork for entering international markets and diversify product line. Sales has always been the source of company expansion. Currently our company’s sale volume is about 2.5 billion yuan and achieves 20% average annual growth rate, which is higher than the average level of the industry growth. Over the years, Sales Department has covered the first, second, third and the fourth terminals. In addition, we have accumulated abundant marketing resources and improved comprehensive competitive strength in the government affairs, marketing development and marketing promotion aspects and so on. Along with the further development the company management has become an indispensable part in the daily work. In order to serve the market better our company has built up a management system which integrates the product management system, market management of bidding and tendering system, market resource management system, customer service standardization operation platform as well as the business personnel management system. For the office hardware support system, our company has built and improved the global telephone conference system (TCS), video conference system, office automation system (OAS) and so on. Together they will better safeguard the company in its process of internationalization. Facing the strong opportunities and challenges Trade Star will tightly holding the market trend, thoroughly understanding the development tendency, following the “ management plus innovation” business philosophy, fully carrying forward the community spirit, comprehensively promoting the enterprise culture as well as blazing new trails in a pioneering spirit and striving to make greater contribution for the development of pharmaceutical industry. We believe that in the near future Trade Star must can play a bigger role in a more expansive area! Trade Star warmly welcome you ambitious people to join us and is willing to cooperate with general merchants for mutual development and better future!